DESOTO—DeSoto Independent School District’s Education Foundation hosted more than 100 golfers in the Mon., Sept. 18 Education Foundation’s 15th Annual Charity Golf Tournament Fundraiser held at Thorntree Country Club in DeSoto. 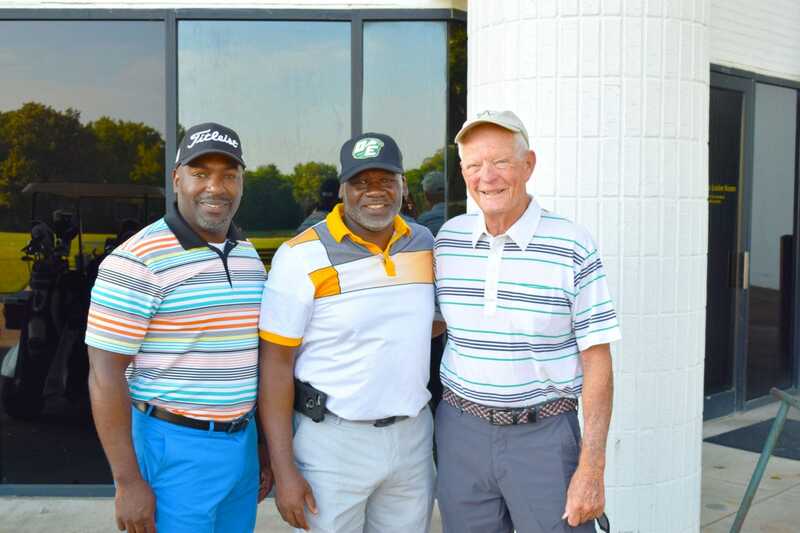 DeSoto area and district partners, businesses and organizations participated in the fundraisers as golfers and sponsors aimed at raising money to support the education foundation’s efforts of recognizing, rewarding and supporting students and teachers in DeSoto ISD. “This is such a great opportunity to gather and generate support for DeSoto ISD’s incredible students and teachers. The annual charity golf tournament is a lot of work, but it’s a labor of love, for a district that we are all extremely passionate about supporting to its utmost success,” said Rachel Thomas, DeSoto ISD Education Foundation President. The DeSoto ISD Education Foundation, was created to bolster educational programs for both students and staff of DeSoto Independent School District. The Foundation provides funds for educational programs and activities which either have not been funded or have been under-funded by the normal operating budget. Golfers checked in around 7 a.m. at Thorntree Country Club and were greeted by breakfast before hitting the greens. Golfers had a range of opportunities to participate in activities like raffle giveaways, a live lunch auction and course competitions like mulligans and longest drive among others. Teams included area law enforcement, former DeSoto ISD leaders, local neighboring school districts’ leaders, district trustees, community members and district partners. Fund raised will be used to facilitate student achievement and skill development, to recognize and encourage staff excellence and to expand community involvement from individuals, business, and civic organizations. The Foundation awards funds through a volunteer Board of Directors made up of business, community and educational leaders. For more information about the DeSoto ISD Education Foundation, or to donate to the DeSoto ISD Education Foundation, visit www.desotoisd.org/educationfoundation.